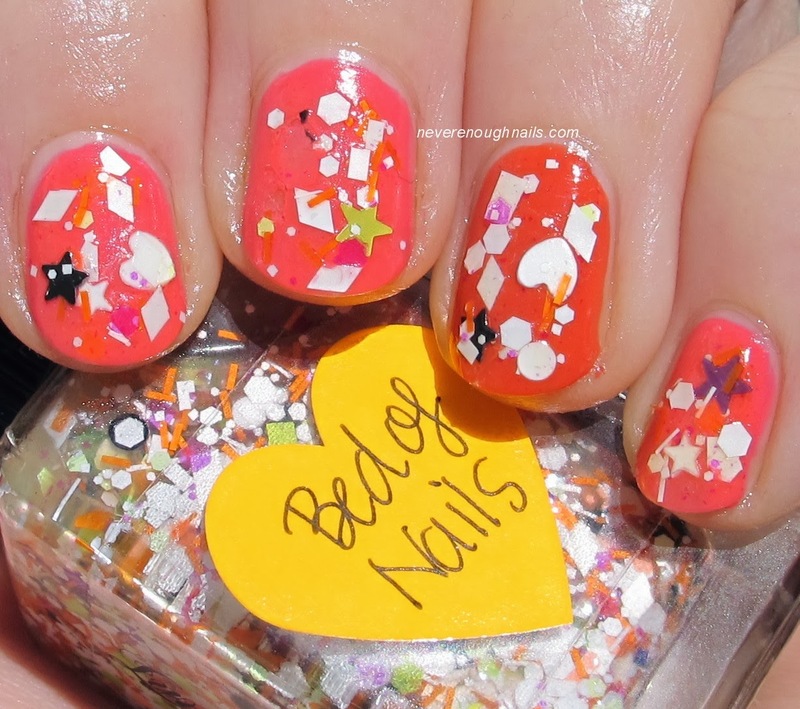 Never Enough Nails: Lynnderella Spam Vol IV, including my birthday mani! 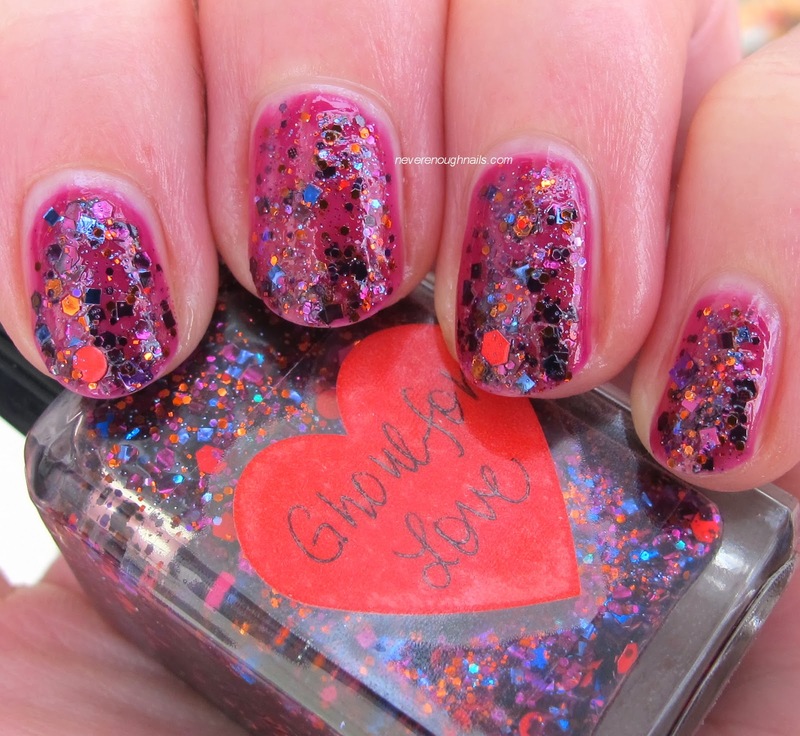 Lynnderella Spam Vol IV, including my birthday mani! 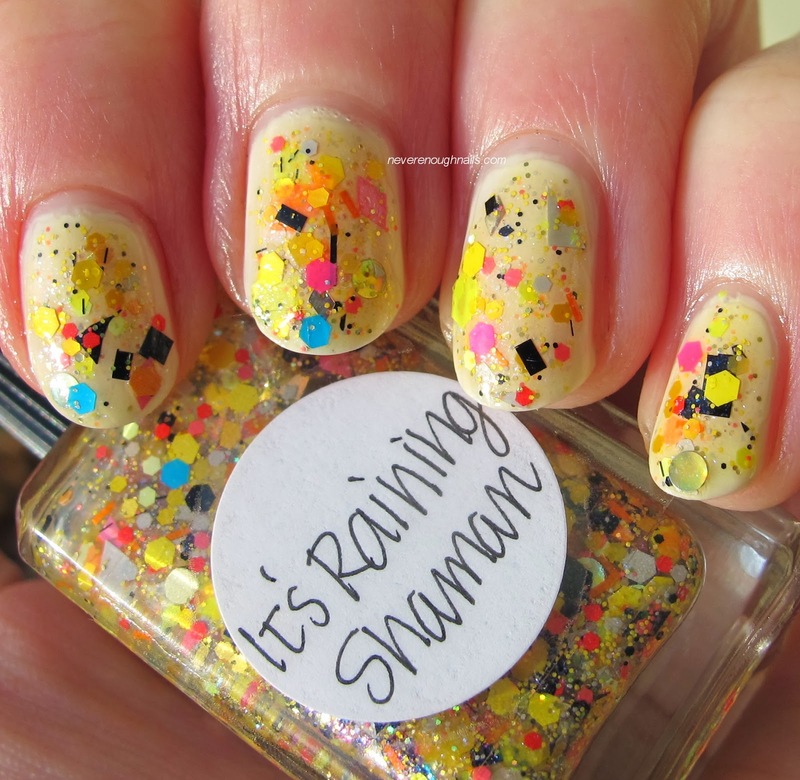 This edition of Lynnderella spam is extra special because it features my birthday mani, Lynnderella It's Raining Shaman over Illamasqua Load. My birthday was yesterday, but I still have this on right now. This is the first time I'm wearing Shaman, I can't believe how gorgeous it is. 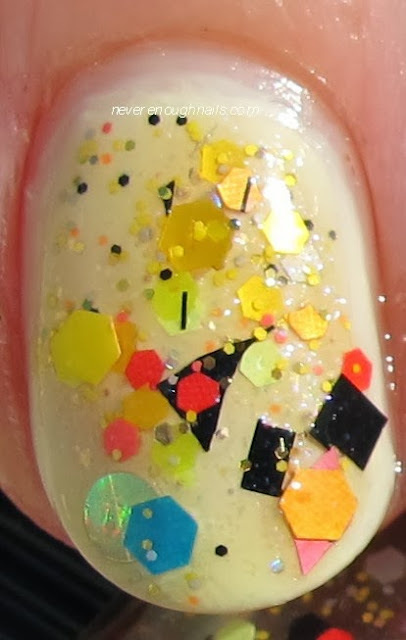 I was super excited when it came out because Lynn finally did a core polish with lots of yellow glitter! 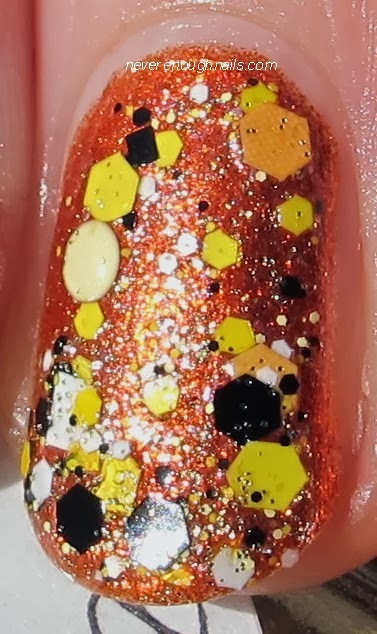 This picture below is dark and makes my fingers look lobstery, but I wanted to show that some of the circle glitter is holo, as seen on my pinkie finger. I wore Lynnderella Ghoul for Love long after Halloween was over. I feel like it's not too specific to Halloween. 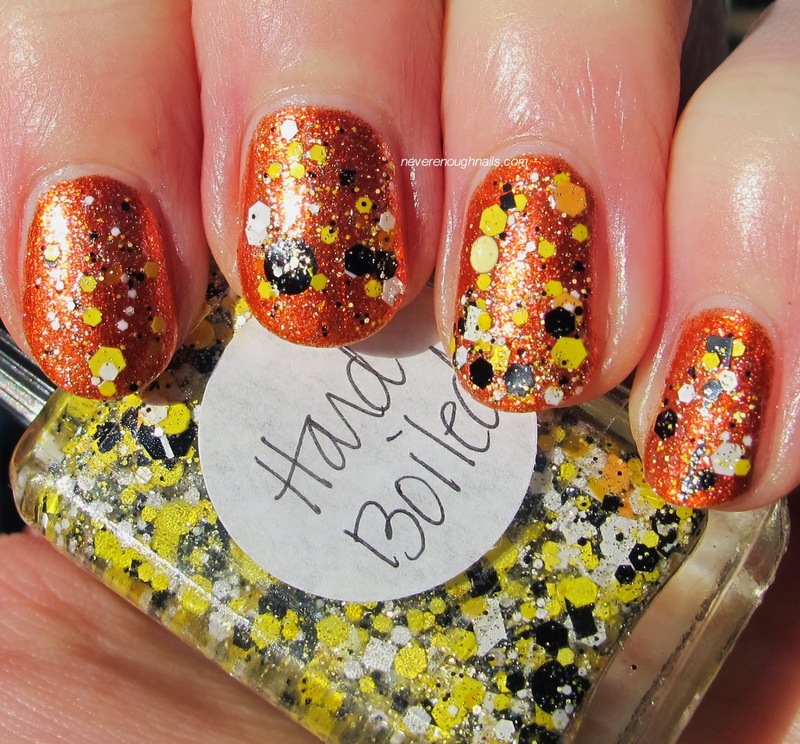 It's really a gorgeous mix of glitters for any time of year. This is two coats over OPI Houston, We Have a Purple. Ghoul for Love is also core. This black and yellow treat is Lynnderella Hard Boiled, a LE polish from a few months ago. I am always trying to nab the egg themed Lynns and I was lucky enough to get this from a really amazing friend. This is two coats over OPI Take the Stage. I liked Lynnderella Bed of Nails so much I actually wore it twice! 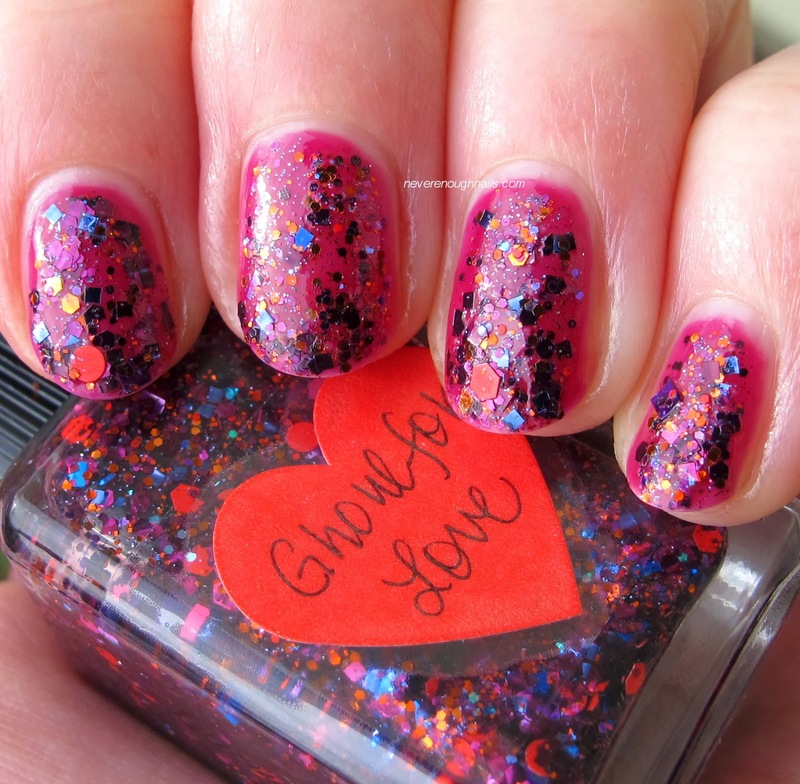 This is the second time and it's over OPI Suzi's Hungary Again and OPI Call Me Gwen-ever. Bed of Nails is core. I basically had a heart attack when I saw this LE Lynnderella Witch Fairy? listed on eBay with a Buy It Now instead of an auction. 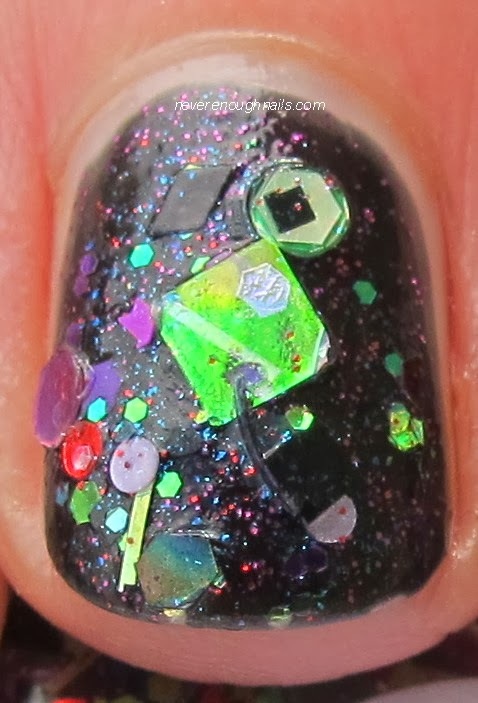 This was my mani on Halloween itself and this is two coats over Fantasy Makers Purple Potion. 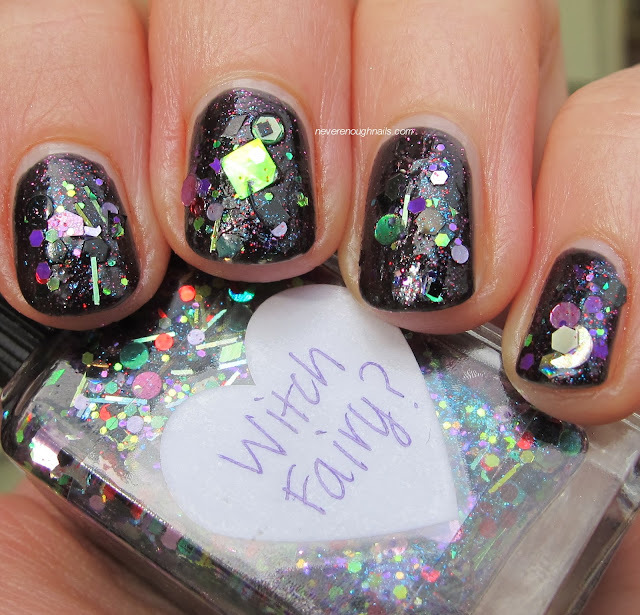 Witch Fairy? also comes with a bag of extra glitter and that bag contains BLACK CAT GLITTER!!! Glitter in the shape of black cats! 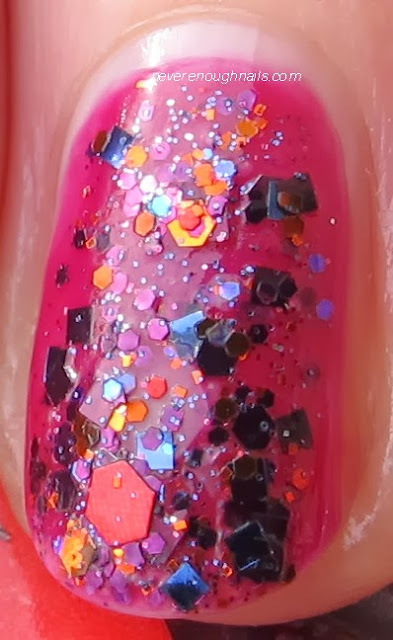 I did not use it in this mani, as Purple Potion is so dark they wouldn't have shown up, but don't worry, you'll see those soon! 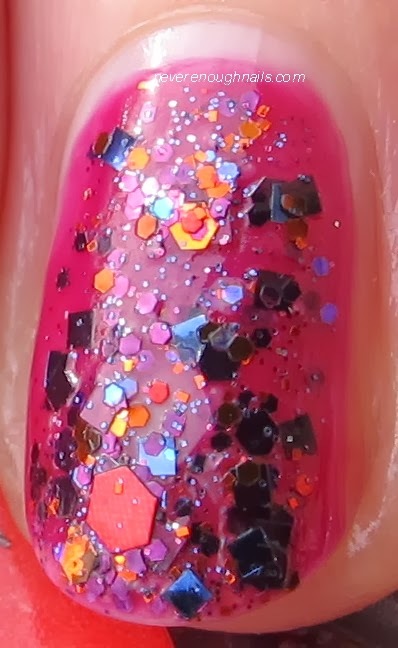 Lynnderella polishes are available at lynnderella.com. It's Raining Shaman is amazing! It's BEAUTIFUL. 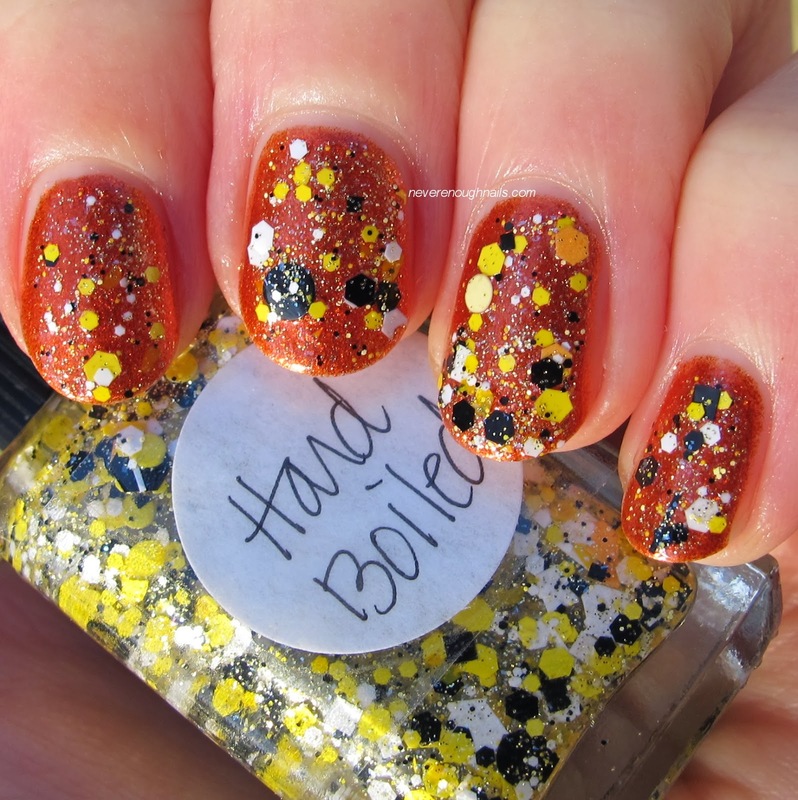 I also am in love with Hard Boiled.. I'm torn between the two.. so pretty! 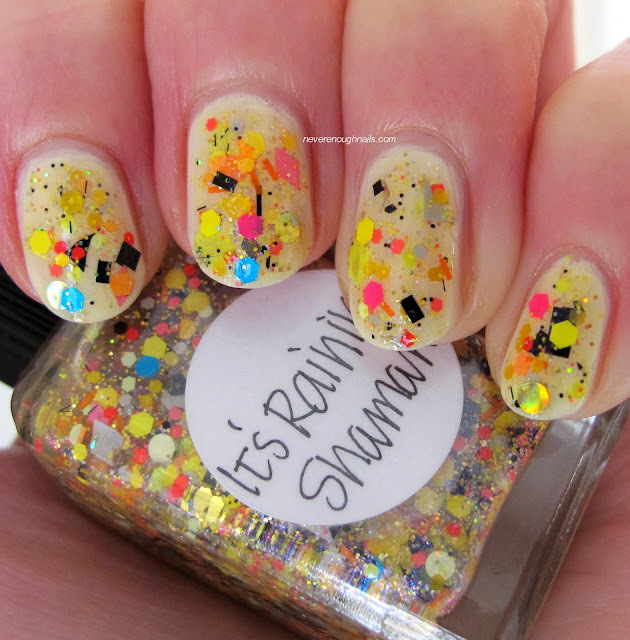 Reb, It's Raining Shaman is really stunning, it might be my new favorite Lynn! 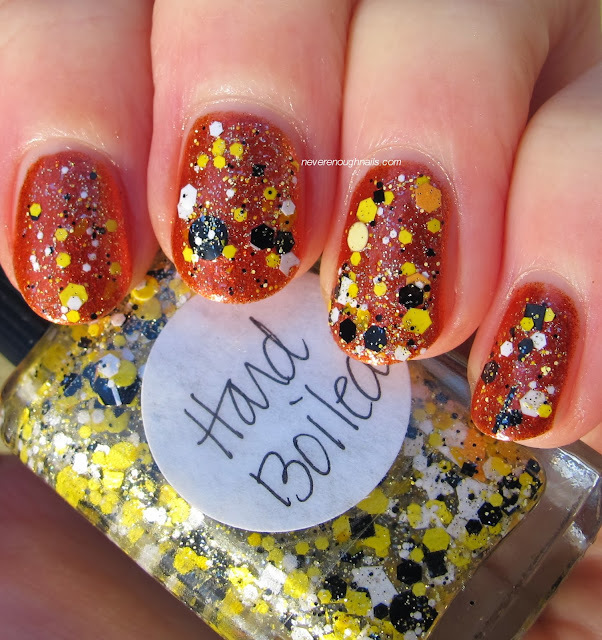 But Hrad Boiled is amazing too, you're right!